Professor Wiesel didn’t like miracle stories. When a student asked about miracles during the Holocaust, he said “Miracles?! For some, but not for others?” And he added that every miracle story is also a blasphemy, because, if God could perform miracles, why didn’t He perform miracles for others? On Chanukah we celebrate miracles. But perhaps the greatest miracle is the possibility of change, of renewal, of growth. And for Professor Wiesel, such growth happens in the context of friendship. 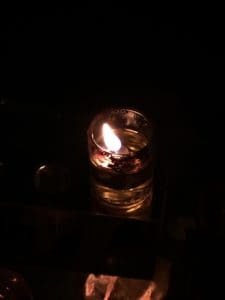 One candle alone shines light, but it also casts a shadow. There is no avoiding this. But if you place a second candle next to the first, the light of the two candles may cancel out the others’ shadow. This is how we heal, as individuals, and as communities: together.